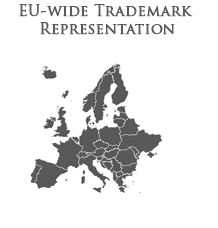 Süle Law Firm handles European trademarks, international registrations and Hungarian trademarks on a daily basis. We are available for both contentious and non-contentious work, since our attorneys are qualified lawyers who handle infringement issues as well. We assist you in applications European Union wide, in oppositions, revocations and cancellations, responding to provisional refusals, recordals at the registries of the Hungarian Intellectual Property Office, the European Union Trade Marks and Designs Agency and the World Intellectual Property Organization. We also offer filing and enforcement services with respect to designs, registered European designs, international designs and advise on novelty issues and on Unregistered European Designs. Our law firm also handles IP portfolios. Besides, we file and manage Applications for Customs Measures EU-wide and in Hungary, we cooperate with Customs Units specialized in anti-counterfeiting. We can arrange the market monitoring of infringing goods and have experience in taking prompt action if needed. In patent cases we engage a Hungarian patent attorney or a European patent attorney. We are at the forefront of fighting counterfeiting. Our experience in trademark litigation is widely acknowledged although we always recommend lawsuits only if other dispute resolution techniques seemed to fail. With an in-depth understanding of copyright law, we deal with copyright issues across industries. Combining expert advice with innovative practices, we have the competitive edge needed to help businesses achieve their objectives. We specifically have experience in software licensing, visual and literary works licensing. Our lawyers are experienced in a variety of legal issues that usually share some element with IP/IT, data protection. For example, we handle unfair competition and trade secret cases, including slavish copying, unfair trade practices. Our team handles such complex issues as advertising and promotions, labeling, telemarketing, direct marketing. Much of our work is referred to us by other law firms from abroad. We welcome this and invite other firms to contact us in this regard.